PIERRE, S.D. 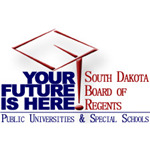 – The South Dakota Board of Regents this week approved new academic program requests from four public universities to meet emerging economic development and workforce trends across the state. An associate of science degree in business administration, to be delivered on the Spearfish campus and at BHSU-Rapid City. This two-year degree responds to strong market demands for business skills, providing graduates with a background in accounting, economics, management, and marketing. For students pursuing additional education, all credits earned in this associate-degree program stack toward a bachelor’s degree in business administration from BHSU. A new minor in creative writing to meet the growing demand for writing skills in all professional positions. This 18 credit-hour minor prepares graduates for work as teachers, copy writers, technical writers, editors, and in public relations positions. The minor will be available to students attending classes at the BHSU campus in Spearfish, at BHSU-Rapid City, and online. A 12 credit-hour certificate in mathematical foundations of cryptography, which is stackable to multiple majors at Dakota State, including computer science and cyber operations. Cryptography is the study and practice of secure communication based on assumptions of third-party adversaries. This certificate applies mathematical theory to those studies and is expected to provide added value to most majors offered at DSU. The certificate will be available to students pursuing studies on campus and online. A master of science degree in nanoscience and nanoengineering, which builds on a successful doctoral program already offered by SD Mines in that specialized area of study. Nanoscience and nanoengineering focus on specialized training to visualize, manipulate, and delineate the laws of science that govern all forms of matter on the scale of one-billionth of a meter, which is roughly one hundred-thousandth the diameter of a human hair. This area of study is a particular emphasis for future research and related economic development spinoffs across South Dakota. A new certificate in esports to encourage students in science, technology, engineering, and mathematics fields to further develop workplace skills through electronic sports activities. The focus of esports studies is to develop professional attributes such as teamwork and communication. The certificate consists of 12 credit hours of undergraduate coursework. A minor in sport management, equipping USD graduates with specialized knowledge in the management of sport organizations and the skills needed to work in the sport industry. Federal labor and employment data report a 12 percent growth in sport-related jobs across the country after the recent recession. A certificate in professional writing that provides students across many disciplines with transferable, applicable, and marketable skills in writing. Nearly two-thirds of all professions require writing skills and USD officials noted there is a growing demand in many areas for technical writers. Three new specializations—in finance, analytics for large data sets, and professional writing. The finance specialization in the master of business administration program at USD will help meet growing demand for graduates who can analyze finance-related issues for corporations and make sound financial decisions. Federal data indicate sustained growth in the labor market for financial managers, financial analysts, financial advisors, and financial examiners. This specialization will be available to students on campus in Vermillion as well as online. A specialization in large data sets within the master of science degree in physics will prepare USD graduates to manage data mining, analytics, data storage, and high-performance computing. University officials said software companies, banks, and data agencies frequently hire their physics graduates to perform increasingly complex data work. A specialization in professional writing within the bachelor of science or bachelor of arts degrees in English will provide USD students with valuable and marketable skills in technical writing and other aspects of writing common in the business world.